2.2 We may change these terms at any time by posting changes online. Please review these terms regularly to ensure you are aware of any changes made by Brompton. Your continued use of Our Site after changes are posted means you agree to be legally bound by these terms as updated and/or amended. 2.3 You may not copy, reproduce, republish, download, post, broadcast, transmit, make available to the public, or otherwise use Our Site content in any way (except for your own personal, non-commercial use). You also agree not to adapt, alter or create a derivative work from any Our Site content (except for your own personal,non-commercial use). 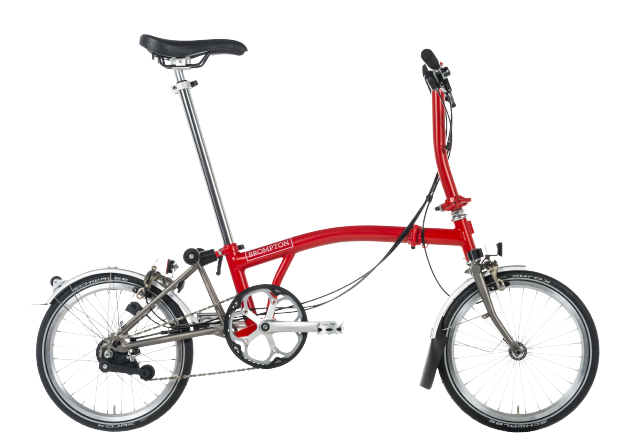 Any use of Our Site content requires the prior written permission of Brompton. 2.5 Our Site content, including the information, names, images, pictures, logos and icons regarding or relating Brompton and/or its products and services (or to third party products and services), is provided "AS IS" and on an "IS AVAILABLE" basis without any representations or any kind of warranty made (whether express or implied by law) to the extent permitted by law, including the implied warranties of satisfactory quality, fitness for a particular purpose, non-infringement, compatibility, security and accuracy. 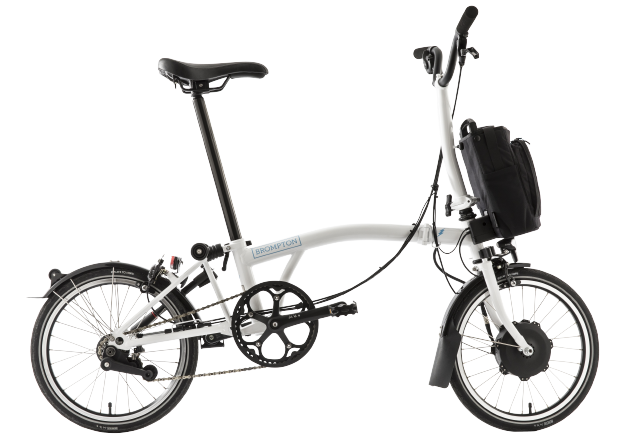 2.8 The names, images and logos identifying Brompton or third parties and their products and services are subject to copyright, design rights and trade marks of Brompton and/or third parties. Nothing contained in these terms shall be construed as conferring by implication, estoppel or otherwise any licence or right to use any trademark, patent, design right or copyright of Brompton or any other third party. 2.9 Links on Our Site may lead to other websites. Brompton accepts no responsibility for the content, accuracy or function of such websites nor does Brompton endorse the contents of such sites. calling us on 020 8232 8484 between the hours of 8am to 6pm Monday to Friday (except for Public Bank Holidays). Please note that we will not reimburse your postage costs on returned items. You will be responsible for the cost of returning the item(s) to us and risk remains with you until we receive the Product(s). These provisions do not affect any statutory rights that you may have. 5.2 We may make a deduction from the reimbursement for any loss in value of any Products supplied, if the loss is the result of unnecessary handling. Unnecessary handling is any handling over and above what is necessary to establish the nature, characteristics and functionality of the products (i.e what you would do in a shop to inspect the products prior to purchase). For the avoidance of doubt, we will not refund Product(s) which have been opened or tampered with or which have been consumed in whole or in part (unless the Products are defective and such defect was only apparent on opening of the Product). It is your responsibility to ensure products are returned in suitable packaging, we will make a deduction from the reimbersement of any items returned damaged if they are not suitably packaged. 5.5 We are under a legal obligation to supply products that conform to the Contract. Therefore, if the products delivered are not of satisfactory quality or do not conform to the description provided or any of these terms upon delivery, you may cancel the Contract and obtain a full refund (including a refund of the delivery charges for sending the item to you and the cost incurred by you in returning the item to us) by returning the faulty Products to us within 6 months from the date of purchase. On notifying Brompton of your faulty goods, please provide proof of purchase (providing your order number will be satisfactory). 9.5 Payment for all Products must be by Paypal or the following credit or debit cards, Visa, Visa Delta, Visa Electron, MasterCard. Payment will be taken at the time of ordering. 13.1 We use the latest Secure Server Technology to ensure that all data submitted through our website is protected to the highest standards. Secure Socket Layer (SSL) encryption is used to ensure that all credit card and transactional information is secure. You can tell when the web page your using is secure as the letters 'https' will replace 'http' in the browser address window. You will also notice a yellow padlock appear either next to your browser address window or at the bottom of your browser window. 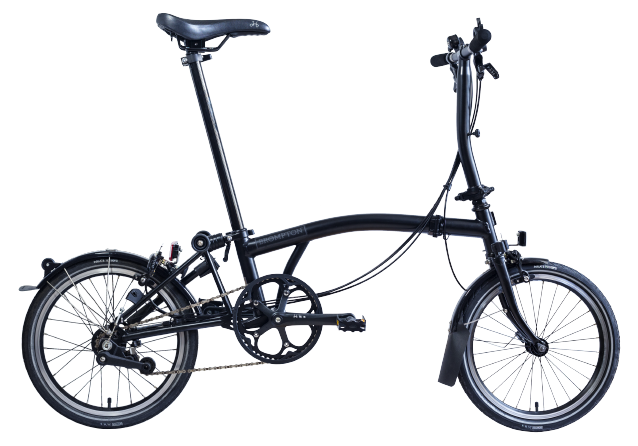 13.2 If you have any specific questions – contact us directly by e-mail at marketing@brompton.co.uk. 17.1 Free standard postage & packing (normally £5.00) applies to order over £35 (inclusive of VAT) after any promotional discounts have been taken off. Free standard postage applies only to UK orders.